Dalkey Archive Press, 9781564784957, 478pp. Benjamin Thompson, Count Rumford, was as Nicholas Delbanco writes world famous in his lifetime, yet now he has been almost wholly forgotten. Like Delbanco himself, Sally Ormsby Thompson Robinson the narrator of this novel and the Count's fictional, last-surviving relative is haunted by one of history's most fascinating and remarkable figures. On par with Thomas Jefferson and Benjamin Franklin, Count Rumford was, among many other things, a politician, a spy, a philanthropist, and above all, a scientist. 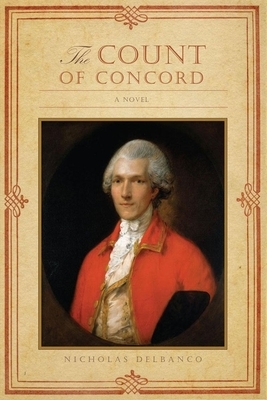 Based on countless historical documents, including letters and essays by Thompson himself, The Count of Concord brings to life the remarkable career of Benjamin Thompson, Count Rumford. NICHOLAS DELBANCO has published twenty-five books of fiction and non-fiction. His most recent novels are The Count of Concord and Spring and Fall; his most recent work of non-fiction?is Lastingness: The Art of Old Age, which?was published by Grand Central Publishing in 2011.?As editor he has compiled the work of, among others, John Gardner and Bernard Malamud. Director of the Hopwood Awards Program at the University of Michigan, he has served as Chair of the Fiction Panel for the National Book Awards, received a Guggenheim Fellowship and, twice, a National Endowment for the Arts Writing Fellowship.